WPP has sent a legal letter to its former CEO Sir Martin Sorrell, threatening to stop him from collecting up to £20m in future payouts if he continues to pursue a rival bid for a company it is also seeking to buy. Sorrell (pictured) quit WPP in April amid claims of possible misuse of company assets and 'personal misconduct'. The terms of his contract allowed him to be treated as having retired on leaving, and dependent on company performance over the next five years, to receive share awards totalling up to £20m. At last month's AGM, nearly a third of WPP's shareholders rejected the firm's latest remuneration report, which includes Sorrell's possible share award. Six weeks after leaving, Sorrell announced he would be investing £40m of his own money in shell company Derriston Capital, adding to an £11m equity funding round and £150m more pledged by a range of institutional investors. Derriston has since been renamed S4 Capital and the funds have been set aside to support the firm's plan to build a multi-national communication services business focused on 'technology, data and content', initially through acquisitions. Yesterday, Sky News reported on an S4 Capital shareholder circular, disclosing the company's ambitions to issue stock worth up to £1bn to fund these acquisitions. S4 Capital and WPP are currently going 'head to head' in an attempt to buy creative digital production company MediaMonks, in a deal said to be valued at around £265m. 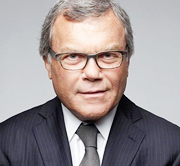 WPP's law firm Slaughter & May has written to Sorrell's lawyers saying that he is 'likely to be in breach of his confidentiality obligations' if he succeeds in the bid. According to Sky News, the letter says Sorrell risks being in breach of his exit agreement and forfeiting the awards if he continues to pursue the acquisition. Web sites: www.wpp.com and www.derristoncapital.co.uk .